Matt Adams - Superheroes, Sci-Fi, and a Touch of the Fantastic: Guest blogging at Superhero Nation! 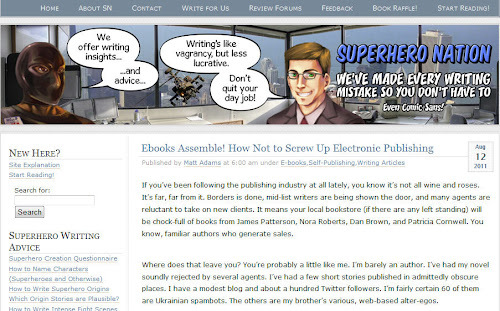 One of my favorite writing sites posted a guest blog I pitched a week or so ago. Confused by this whole ebook thing? Check out Superhero Nation for a primer.